Is there a collective consciousness from the days before September eleventh? Do we recall our world and the way it functioned? We had, in those simpler times, an FBI that enjoyed some degree of public confidence, manned by straight-arrow law enforcement professionals, mostly able to solve the crimes that eluded local police structures. Our military was well equipped and capable, although they hadn’t been asked anything terribly dramatic since the seventies. The CIA had what they have always had, reasonably competent agents throughout a troubled world, but less troubled than it had been in recent memory. Then all hell broke loose and we lost every shred of confidence in ourselves, our government and the various agencies that stood ready to protect us. Since then, in our panic and conflicted needs, it’s been a blame-game and a tearing down of all the structures that worked for us so far. Time to stop. Catch our breath. Time to know that we are strong enough as a nation to get through the short-term, deal with the long-term and perhaps even blow the whistle for a short time-out. It’s half-time and we’re putting too much pressure on our government and expecting too much in the way of protection from every shadow on the stair. Homeland Security is undefined and indefinable, an organization in search of a reason to exist. Let’s let Mike Chertoff go back to the federal bench and undo our mistaken attempt to create another agency to overview all the independent agencies that already share too many of the same responsibilities. the need for "total assets visibility"
favoring "an integrated, sensible, systems-based approach." needing "better information about the constituents of the supply chain." saying that Homeland Security has "done a lot to elevate the general baseline of security in this country." And the point is not to make fun of Mike, the point is to recognize that a mission statement so muddled in arcane techno-speak is no mission statement at all. It’s easy to get bogged down in that, but the fact is that DHS has no worthwhile mission. We can’t make ourselves safe by creating layered bureaucracies. We make ourselves safe by taking what we have and making sure it’s efficient and accountable. 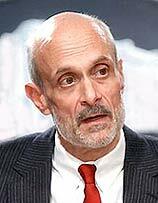 FEMA didn’t fail New Orleans and the Gulf Coast because Mike Chertoff was out of touch or George Bush at the ranch. 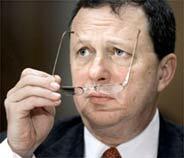 FEMA failed because it was under the control of a Bush political appointee, in so far over his head that he went looking for Bush to help. There was no departmental failure there, the disconnect was one of political foolishness that should not be allowed. FEMA employees have taken a terrible hit. Competent people have been made to look incompetent because of flagrant political meddling. The price was enormous, including lives lost. Understandably, the public looks at the DHS-FEMA fiasco and wonders what would be the price were we to suffer another major terrorist attack? They are right to ask. A portion of what goes unremembered since 9-11, is New York’s immediate response to an unparalleled attack on a major American city. 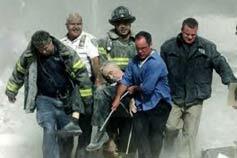 Fire, police and civil disaster management within the city of New York governmental structure was both heroic and adequate. That’s a major argument for taking what we have and making it answerable. 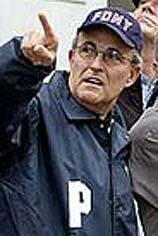 Mayor Giuliani stepped immediately into command and one clear voice governed the process of disaster and aftermath. There’s no doubt that Giuliani is a strong and capable man. Strong and capable men used to run our institutions. No buck-passing, no panicked look for saviors elsewhere, no ‘properly risk-managed approaches to critical infrastructure,’ just a man in charge of the well-trained and smooth-running tools of governance. No one was prepared for the horrors of the WTC attack. But New York was prepared to respond to whatever came its way, because the training and discipline was in place. They did not need and have not since layered another bureaucratic infrastructure over what they had and have. If it's not against the law for a president to make such appointments, it should be. More about politics in America at my opinion columns web site.